I don't know if you have noticed (sarcasm), but calligraphy is having a moment! We have a wonderful business here in Nashville called The Skillery that provides educational classes for adults - anything from photography, sewing, blogging, social media, & apparently calligraphy too! I've been attending Skillery classes since their very first one & am a huge fan. So far I have taken classes on book binding, using my DSLR on manual, sewing 101, & silk screen printing. They always have classes that reflect the current trends in hobbies, so it was no surprise that their first calligraphy workshop sold out ASAP. I got myself on the notification list for the next class, & signed up the instant more spots became available. I've always had this notion in my head that calligraphy was HARD & I showed up ready for the instructor to unlock the hidden secrets of this lost art. The class was led by Meredith Bullock & not only did she make it LOOK easy, it actually WAS easy! We learned the set up of the fancy looking pens, the tricks to selecting a good ink & got started tracing the gorgeous font that Meredith created. I was also blown away by the affordability of the starting materials. For $10 I was set up with a nib, pen, ink, & tracing paper. 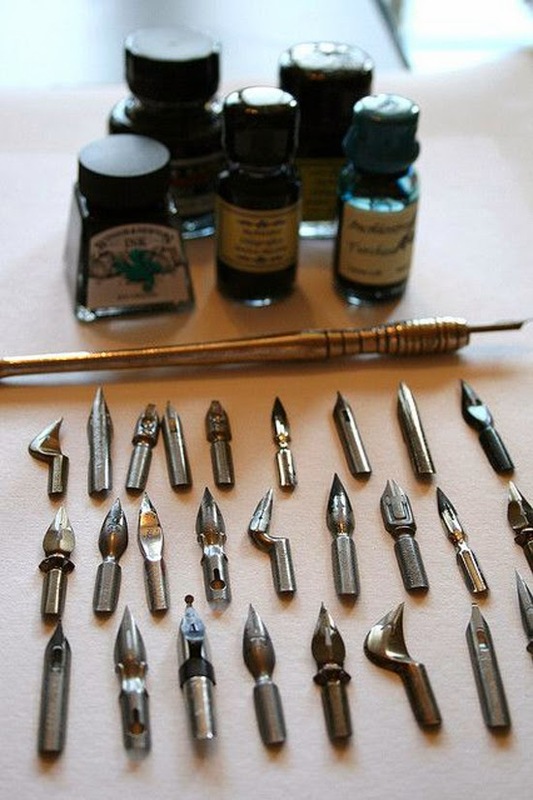 The secret to calligraphy? Finding a font that you love & practicing, practicing, PRACTICING! So, now I find myself pulling out my tracing paper & font during free time… might have even completed some minor calligraphy projects for the wedding too! Maybe you don't have a resource like The Skillery in your town… no worries, the internet to your rescue! 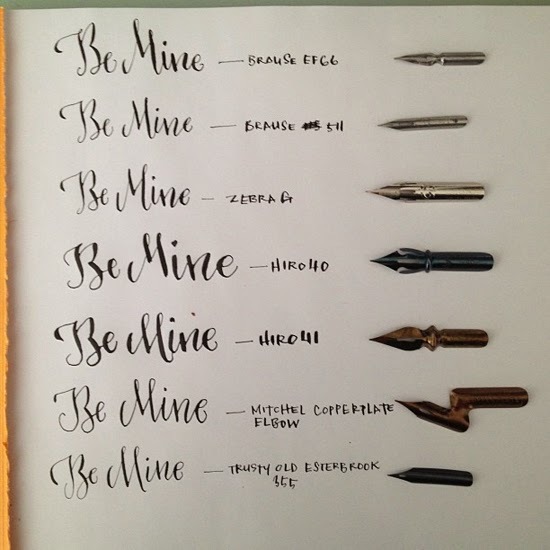 L H Calligraphy not only offers custom wedding invite calligraphy, she also has in person & online classes to get you started on your new favorite hobby! And that was just 5 seconds of Googling around. I was just so excited about my new hobby that I had to share! Have you found a new skill lately? Any other newbie calligraphers out there?? P.S. Nashvillians: come hang out with me tonight at the Green Hills Mall Dillard's Handbag Trade-in Event. I will be in the accessory department from 5 - 9 pm talking about Spring trends & helping you pick out your next handbag! Find out all the details here. I love the idea of The Skillery. One day I wish I could open a business like it! All Designer Purses, All On Sale! I've taken a class with Meredith and it was great! She's such a sweet lady, and we had fun with the class (it was held at Fort Houston, which is a super cool place!). Definitely want to check out the skillery! What a wonferful concept!! 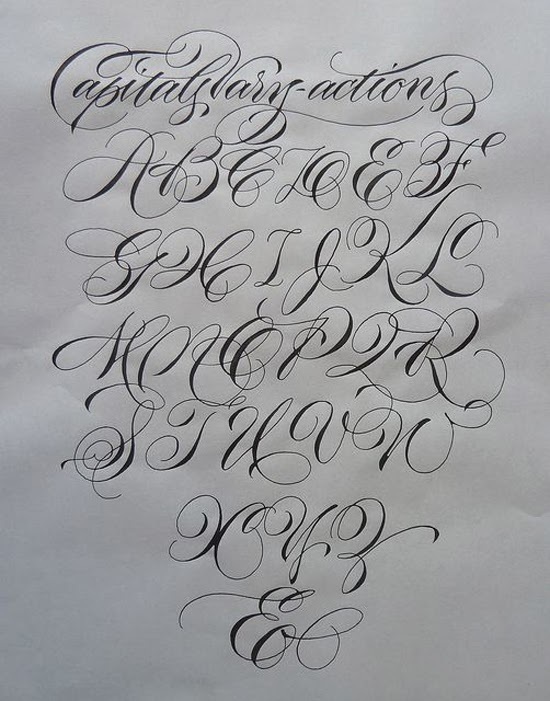 This is really the coolest–I've always wanted to know how to do calligraphy! I have been wanting to learn calligraphy for the longest time but I have been unable to find any classes near me. I wish Singapore had something like the Skillery! Yes I agree that Calligraphy is an "in" things these days and I found myself taking the plunge as well thanks to the numerous gorgeous pieces on Instagram. I love how I can relax and get my mind to quiet down by doing Calligraphy after a hectic day at work. A calligraphy class sounds like fun! And who knew there were so many different styles of pens?! That sounds so fun! You'd think as an artist I'd have good handwriting but...I don't...really. But I am good at "copying" fonts. But this just looks so...fancy! haha I love it!